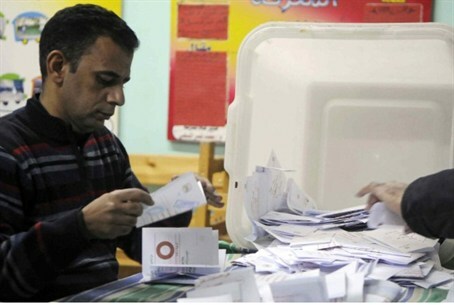 Egypt announces that Tuesday, the second day of the country’s presidential elections, will be an official holiday. Egypt has announced that Tuesday, the second day of the country’s presidential elections, will be an official holiday, Al Arabiya reported on Monday. The move appears to be an attempt to boost voter turnout seen as crucial to casting legitimacy on the electoral process, in which former army chief Abdel Fattah al-Sisi is expected to clinch landslide victory. According to Al Arabiya, voters on Monday lined up to cast ballots at polling stations guarded by soldiers in face masks and armed with assault rifles. Sisi faces only one challenger in the two-day vote in Hamdeen Sabahi. Sisi himself voted minutes after polling opened Monday surrounded by reporters and supporters, according to AFP. "The entire world is watching us, how Egyptians are writing history and their future today and tomorrow," Sisi said. "Egyptians must be reassured that tomorrow will be very beautiful and great," he said, as supporters shook his hand and kissed his cheeks. Sisi is seen as the de-facto leader of Egypt since he led the ouster of Muslim Brotherhood President Mohammed Morsi last July, following mass protests against him. The Islamist movement is boycotting the election, along with the April 6 youth movement which spearheaded the anti-Mubarak revolt, and said Sunday it would reject the outcome. "Forgery will never grant legitimacy to a butcher nor will it lessen the determination of revolutionaries," the Brotherhood said, according to AFP.